Collage from the designer Louise Campbell was inspired by the art of light to fall in a wood through all the shapes before it reaches the floor. That is why the Collage 450 umbrella possesses three shapes that have an own pattern respectively. An unimagined depth of light and of the shadow plays appears to the outside like this, and between the different umbrellas respectively. 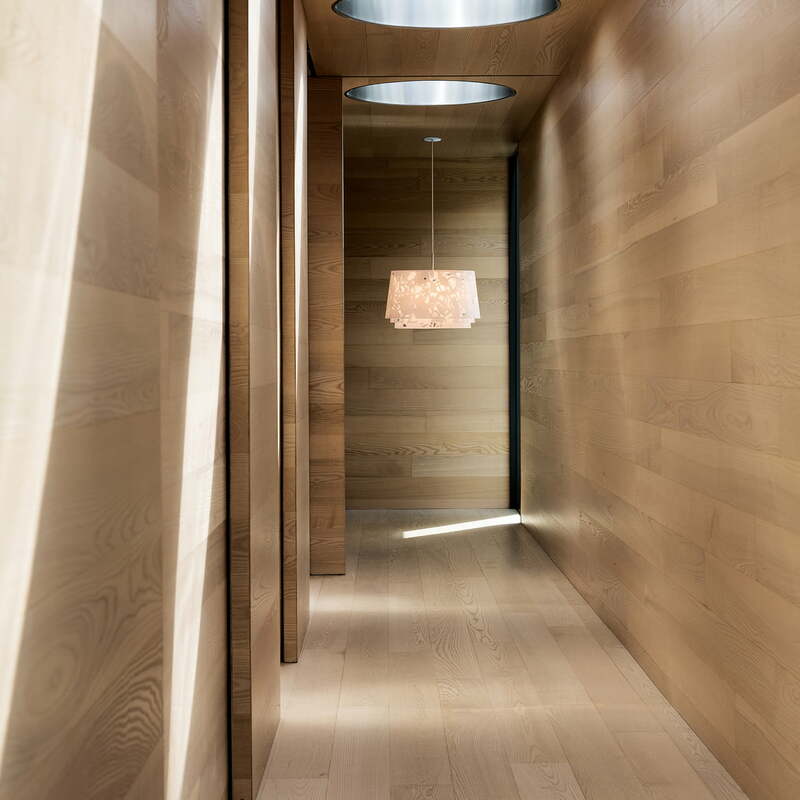 The light passes through the shapes with different strength rates creating a pleasant atmosphere and ensuring not to blend the viewer at any moment. 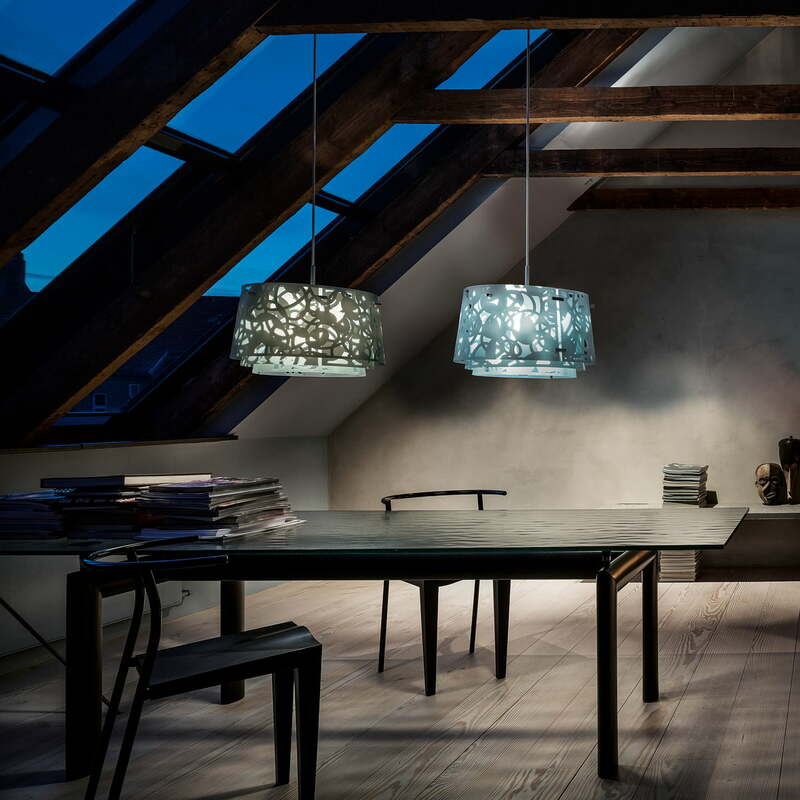 Collage 450 is the smaller edition of the Collage 600 Pendant Lamp collection, which the designer Louise Campbell created for the manufacturer Louis Poulsen. 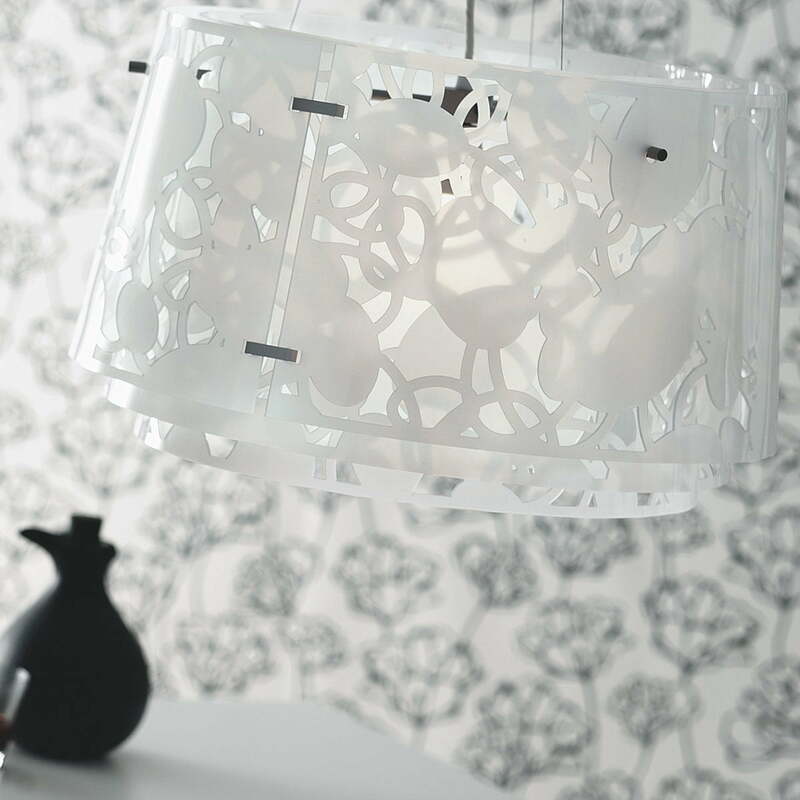 Its 45 cm diameter was chosen on purpose because it maintains the balance and the harmony of the original design – three acrylic shades with laser cut leaf patterns, although differentiating itself from the grand edition. The Collage 450 suits excellently to be hanged repetitively and sets accents also as a single lamp. The Pendant Lamp Collage 450 is also available as 600 version Furthermore an anti-glare set can be ordered. Material Umbrellas: acrylic, laser cut. Suspension: Aluminium, natural anodised. 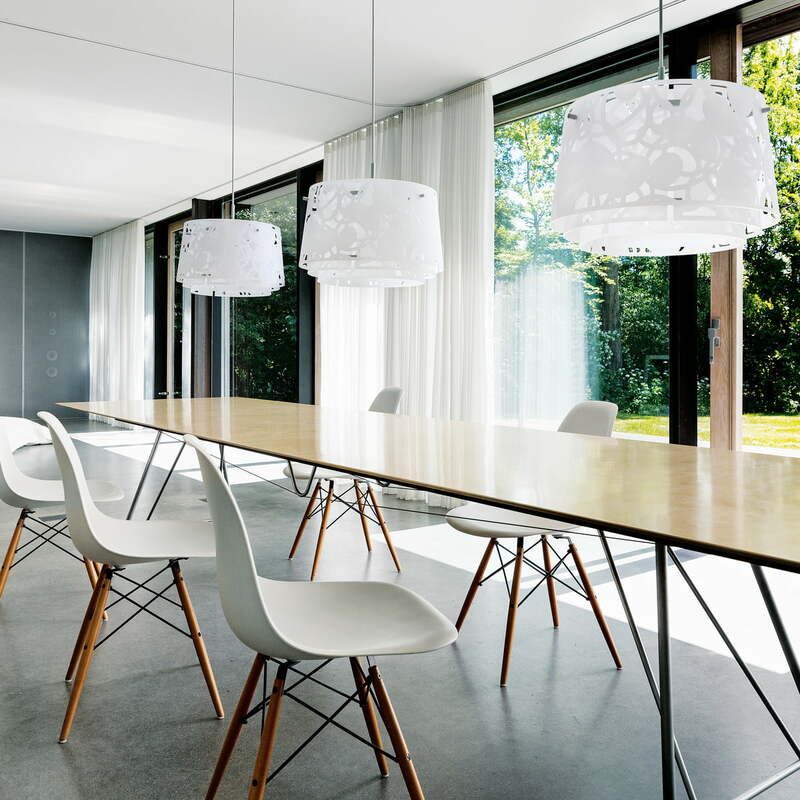 The Collage 450 pendant lamp by Louis Poulsen in white matt. 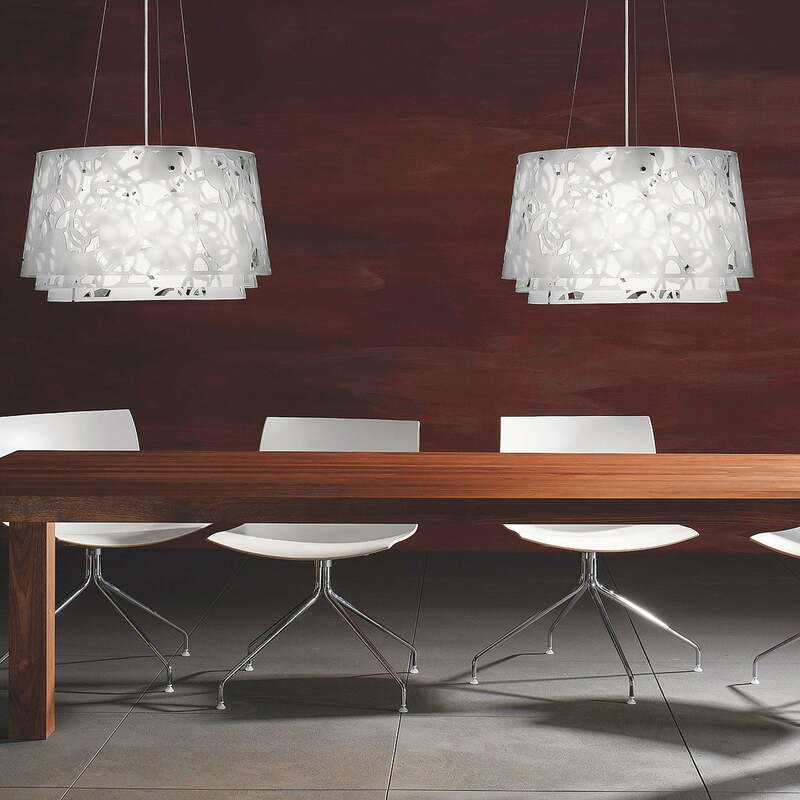 The umbrellas are made of laser-cut acrylic, while the suspension is made of natural anodised aluminium. Louise Campbell's Collage pendant luminaire for Louis Poulsen in ambient view. When switched on, the luminaire with the three shades provides almost magical light. Collage by designer Louise Campbell was inspired by the way the incident light in the forest penetrates through infinite layers of foliage before it reaches the ground. 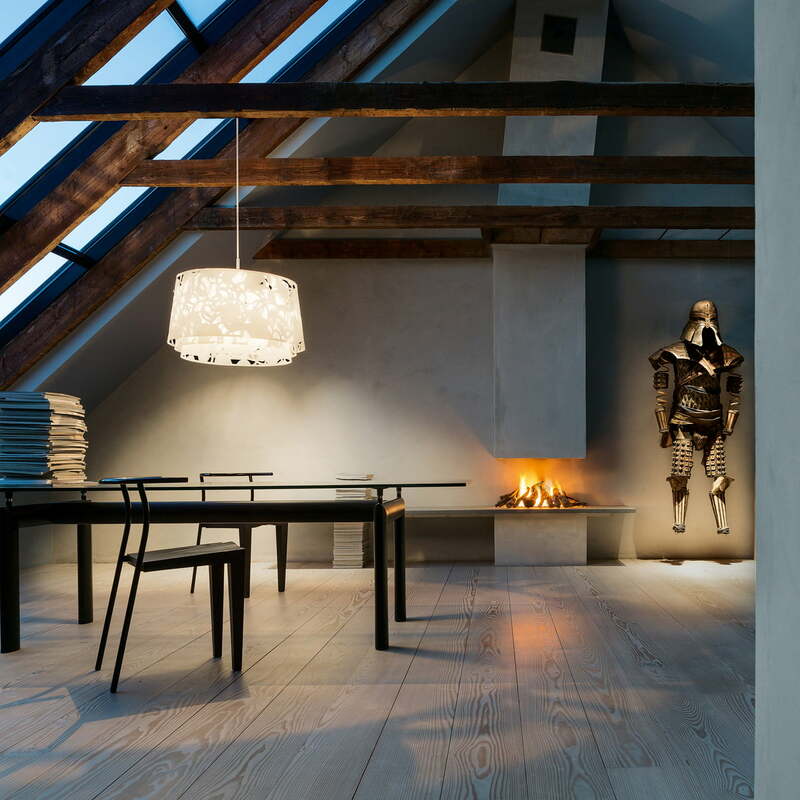 The Collage 450 pendant lamp by Louis Poulsen in the ambience view. 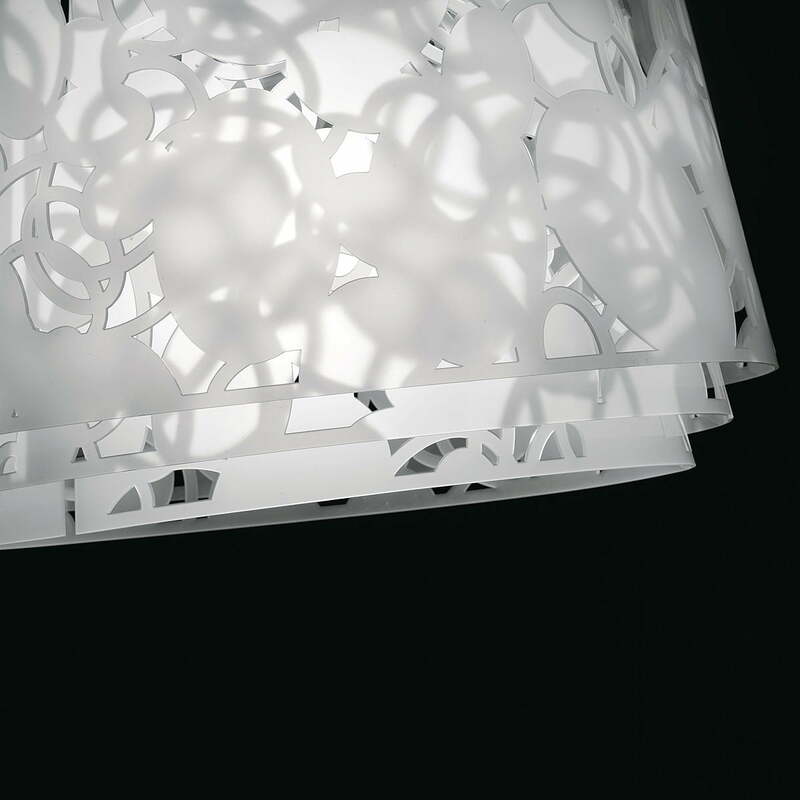 Through the triple lamp shade, the Collage luminaire radiates a diffuse light that is primarily directed downwards. 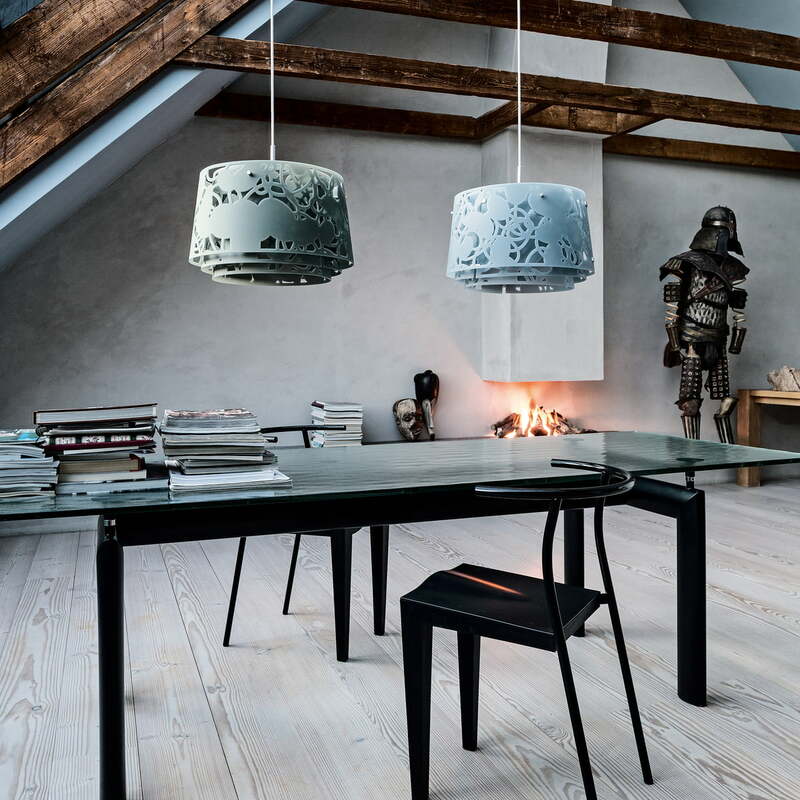 The collage pendant lamp by Louis Poulsen. Inspired by the multifaceted incidence of light in the forest, designer Louise Campbell created the collage lamp for Louis Poulsen.